Just did a gold botani invasion with 2 other people, only I had the quest. Everyone got rewards, epic bag from gold dropped 645 ilvl epic. If you have an invasion quest available do it with others, it's easier and more ppl will get stuff! I did this achievement today. Got the invasion quest by grinding mobs in The Pit (Gorgrond) for about 1-2 hours. The reward Invader's Forgotten Treasure contained a mount for one of us and just 50 Garrison Resources and 50 Apexis Crystal for the other two. Unfortunately no 645 loot. Tip: If you have a Barracks Level 2 send one of your followers to work there and recruit him as a bodyguard. Additionally you can ask one of your followers who is standing in your garrison to come patrol with you. We did the achievement as a 3man group with every player covering one third of the base and using our followers to help dps down the waves. Alright, so. Any tips here? 'Cause me and 2 guildies seriously did this flawlessly (or so it felt, at least). No friendly NPC's got knocked out, no buildings were roasted, stuff died nearly the moment it appeared. And we were still 110 points off gold. How many points is it for gold? I got silver today with 667 points. To achieve Gold rating and get the Golden Defender achievement, you must reach 1,000 invasion points (600 required for silver and only 400 for bronze). And at last, you can buy three crystals from Deedree in your town hall, for 60 garrison ressources each. Me and 2 others completed the Shadow Council invasion today, and despite finishing the invasion with 1008 points, not one of us got the Gold achievement. Going in to the final "boss" stage (meeting at the Town Hall), we were at ~960 points. The group leader mentioned we had Gold easily...however...even thought we got over 1000, we did not get the achievement. We did, however, get the epic loot sack. I'm thinking a bug, possibly? I did this over the weekend but was denied the actual achievement. It was a friend of mine's invasion that I and another friend helped them with, we got the gold box at the end but the achievement was never awarded. I filled out a ticket and a bug report and the reply from blizzard was that they were sorry but they could not help me with this. They said I would just have to do it again and maybe it would work this time....what craziness is this? Players defeating the final boss that pushes their invasion score to over 1000 should now correctly be able to receive credit for obtaining a gold rating. I always use Benjamin Gibb during Garrison Invasions. He has 2000000 life, does 13k dps (he did 6000000 total damage during invasion). Thanks to him i completed Golden Defender. Go to Sergeant Crowler if you are Alliance or Sergeant Grimjaw if you are Horde. They sell these Missive items that can send you on a quest to irritate a specific Draenor faction so they can attack you back in a form of Invasion. From all the types of invasions i've found Scouting Missive: The Pit to be the quickest. Some are really slow and painful and actually pretty boring to complete so i think that Scouting Missive: The Pit is the best one to choose. 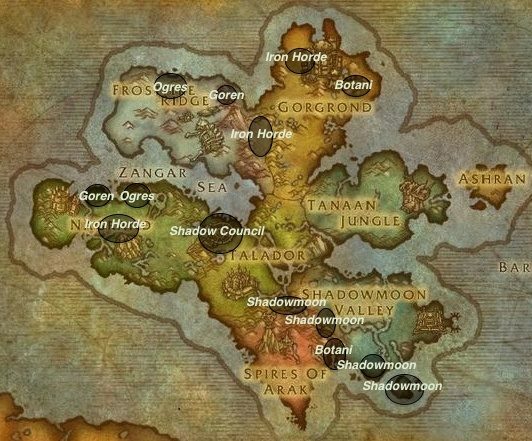 You will need to go to Gorgrond and kill iron horde around the Black Foundry entrance 50 27 coordinates. To kill enough to complete the Missive quest just takes a few minutes unlike other types of Missives. You can also cruise around to check for Poundfist rare while you are there. Ok so you have completed the Missive quest and you port back to your Garrison. Inside the Garrison building you turn in the quest. Go outside and check out Sergeant Crowler or Sergeant Grimjaw. They should be waiting with a quest to offer you that's called Garrison Invasion!. Start it and the invasion will start. 3. There are mounts that drop from the invasion reward bags - Invader's Forgotten Treasure reward for Gold invasion score and Routed Invader's Crate of Spoils for Platinum. Both bags drop from a single invasion if you have completed Platinum.